California Guitar Trio are certainly well known for creating unique progressive rock instrumental pieces. They are perhaps even more associated with turning rock music classics into killer mellow prog instrumentals – with most or all the instruments provided somehow by guitar. Well, this is their latest CD and it’s one of their best. For my money, their take on Pink Floyd’s “Echoes” is worth the price of admission by itself. As is often the case the group are joined on this CD by a number of guest (Tony Levin and Pat Mastelotto who are frequent CGT contributors are among the biggest names). 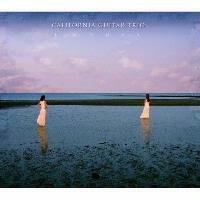 All in all, this is another great album from California Guitar Trio. It’s sure to please their long time fans, but I’d hazard to bet that it will bring them some new listeners, too. For some reason this reminds me quite a bit of “Telstar” or just about any song by The Ventures. The guys weave lines of melody and interest all over this cool piece. It’s intricate and enchanting. This is less delicate than the last number. It’s a fast paced jam that’s quite cool. They lace “Unmei” with lots of world music textures. The guitars weave waves of sound that will make you feel like you are in Eastern Europe. They also convey a classical texture to the piece. When an electric guitar enters late in the piece, it brings with it a King Crimson-like texture. That doesn’t stay around long, though. Instead they turn it back to the earlier motifs to end. Covering Pink Floyd’s “Echoes” and making it your own? It sounds impossible doesn’t it? Well, California Guitar Trio pull it off. In some ways the song almost feels more “Pink Floyd” than the Pink Floyd version. At twelve and a half minutes in length, this is the longest piece on the CD. The melody seems to shine a bit brighter here than on the original, but they still manage to keep the spacey psychedelia meets progressive rock texture. The essentially play this one true and faithful to the original. The thing is, just moving the vocals to guitar and making the other instrumentation alterations they do brings a new voice to the piece. This is simply amazing. Pamelia Kurstin provides theremin on this while Tom Griesgraber lends his bass and Chapman Stick skills to the piece. Tyler Trotter also appears on this track. They turn their attention on Mike Oldfield with this piece. Pamelia Kurstin again handles theremin duty. Griesgraber and Trotter also return on this. Tony Levin makes his first appearance of the disc on this. It varies more from the original than did the Pink Floyd cover. It’s another strong number, but it’s played considerably more sedately than the original. I can’t possibly imagine anyone doing a bad version of this – and certainly not CGT. As one might guess this is fairly sedate. It’s not without energy, though. It moves through an intricate and rather quite pattern like Baroque music. This song is by no means static or monolithic, though. They take it through a series of motifs and variations. It’s an intriguing piece of music that works very well. Anyone who is familiar with CGT’s live show knows all about this. For me it might be the best cover they’ve ever done. This powerhouse is converted very well to instrumental arrangement. It’s just plain killer. This comes in with a bouncy texture and then it becomes a balladic piece. When the vocals – yes, I said, “vocals” – join in it resembles The Grateful Dead to me. At least it calls to mind the slower mellower mode of that group. They shift it out towards ethnic music on the extended instrumental movement. Still further down the road this resembles a Dead “space jam,” but with some bluesy guitar. They eventually bring it back to the song proper for one more vocal section and then shift it out to a French Café to end. The singing on this is provided by “Bonnie Prince Billy.”Jamie Masefield plays mandolin on this song. Tyler Trotter also plays on this number. The quintessential fan request – even for bands that don’t do this piece, California Guitar Trio tackle the Skynyrd classic on this. It’s another that includes vocals. In some ways this almost feels like The Dead doing Skynyrd. This is one of the strangest covers the group have ever created – not because of the choice of material, but rather the way they do it. Their version is very stripped down and a bit weird at times. The vocals seem tongue in cheek at times. When they power this out into the fast paced instrumental jam, though, it’s simply on fire. Two piece of King Crimson’s double trio rhythm section (Pat Mastellotto and Tony Levin) both appear here. Bonnie Prince Billy returns to sing this. Kevin Ratterman provides tambourine and shaker.